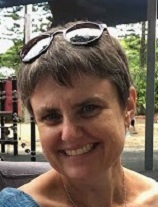 Anita is the President of the AHPA Queensland Branch, and prior has been an Executive Committee member for several years, as well as previously involved in the New South Wales Branch. Currently, Anita works as a Senior Policy Advisor addressing whole-of-government strategic reform in relation to mental health, alcohol and other drugs, and suicide prevention. Previously, Anita has managed various statewide childhood obesity prevention and nutrition initiatives across Queensland and New South Wales, through roles at Children’s Health Queensland Hospital and Health Service and the NSW Ministry of Health. Prior to her statewide roles, Anita managed a number of health promotion initiatives at a local level throughout a range of different metropolitan, rural and remote community settings including Western Sydney and Far Western NSW Local Health Districts. Anita has both clinical nutrition and academic experiences with a focus on prevention and child health. She has completed a Masters of Public Health and a Masters of Human Nutrition. Kath has worked in the field of health promotion for over 20 years. She recently completed a PhD focused on building health promotion and research capacity in an Aboriginal Community Controlled Health Service. Kath is passionate about improving health outcomes in disadvantaged settings and has a strong interest in how organisational systems can be strengthened to increase health promotion capacity. Kath currently works for the Cairns and Hinterland Hospital and Health Service. Tim holds a Bachelor of Applied Science (Health Promotion) and is currently completing a Masters of Public Health. He has worked in health promotion for the past 10 years, in a variety of roles including HIV prevention and sexual health, alcohol harm reduction, and workplace health and wellbeing. Tim is passionate about social justice and has a strong interest in reducing health inequalities by addressing the social determinants of health. Cassandra has worked as a Health Promotion Officer for North and West Remote Health, servicing remote communities across Central West Queensland since early 2013. The role has involved coordination and delivery of a range of programs and initiatives targeting region specific socio-economic and cultural groups across all ages: from early years to adults. Since 2015, Cassandra has worked as a sole practitioner using limited resources, high level strategic planning, plus effective coordination and collaboration with other service providers. In 2010, Cassandra completed a dual degree in Health Sciences (Nutrition) and Creative Industries (Media Communications). With her passions for nutrition, human behaviour and preventative health in mind, Cassandra furthered her studies and completed a Graduate Diploma in Public Health, majoring in Health Promotion, in 2012. 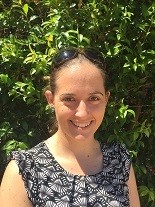 Cassandra has joined the AHPA Qld Branch committee as a way to represent health promotion in rural and remote Queensland, and the challenges involved working in these often regions. She strongly values the importance of developing strong partnerships and using innovative, multidisciplinary approaches to address the demanding preventative health needs of communities across Queensland. Bradley has previously completed a Bachelor of Exercise Science, a Graduate Diploma in Cardiac Science and most recently a Master's in Public Health. After spending the last decade working within the hospital systems performing a variety of roles in Cardiac Investigations, Bradley has experienced first-hand the deficiencies in established approaches to treating people with chronic conditions. Currently Bradley works for Northern Queensland PHN as a Health Promotions Coordinator and is enjoying the challenges of turning evidence into action in a regional setting. Lily has a Bachelor of Science degree in Psychology and a Masters in Nutrition for Global Health. She has worked in health promotion for the last 5 years in a variety of roles, including delivering health promotion programs in adult services and managing specialist adult weight management services and public health programmes. More recently, she has been working in research looking at different interventions that can improve wellbeing outcomes. She is passionate about health promotion and reducing health inequalities and after recently moving to Brisbane is keen to get involved and be a part of supporting health promotion in Queensland. Barbra has completed a Bachelor of Health Science (Public Health) and a Bachelor of Creative Industries (Media and Communication). 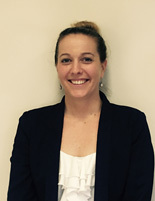 She is currently the Treasurer for AHPA QLD. 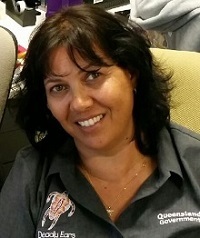 Barbra currently works as Health Promotion Lead for the Northern Queensland Primary Health Network. In this role, she works with primary health care sector and community to improve health outcomes, with projects focusing on capacity building, workplace health promotion, health literacy, chronic disease prevention and the application of collective impact principles. Barbra has previously worked for local government and state government, prior to moving into the not-for-profit sector. In 2015 she was awarded the AHPA Qld Branch President’s Award. Sue holds a Graduate Diploma in Health Promotion, Master of Public Health and Tropical Medicine and a DrPH. 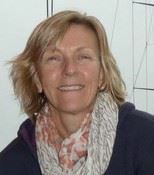 Sue has worked in the health promotion field since the early 1990’s and is passionate about building health promotion capacity in both within and outside the health sector. 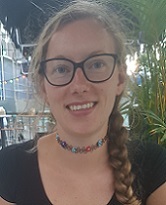 She currently works at James Cook University where she teaches health promotion subjects to postgraduate Public Health students and undergraduate allied health students. Rae Plush’s 20 years of extensive experience in the health and community services sector attest to her commitment to the principles of primary health care and social justice. 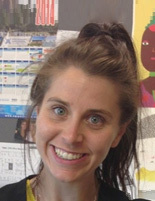 Rae’s current role as the Health Promotion Officer for Continence Foundation of Australia follows on a volunteering with Australian Volunteers International Development in the Marshall Island for 12 months as a Program Management and Grant Development mentor plus a broad range of management, training and project management roles. Over the years, Rae has presented papers and posters on health promotion and linking to volunteering at national and local conferences and volunteered for the Child Protection Society, in Zimbabwe. An enthusiastic supporter of many associations, she currently sits on the Australian Health Promotion Association Branch in Queensland. It was while studying a degree in nursing that Carlie discovered her passion for the area of health promotion and the importance of working with people to achieve optimal health in all areas of life. Carlie is currently studying a Bachelor of Health Science (Health Promotion) at USC and volunteers with the Sunshine Coast Multicultural Network and other local health promotion projects. Carlie is looking forward to the opportunity to both learn from and contribute to the AHPA Queensland Branch as an Executive Committee member. Josephine holds a Graduate Diploma in Indigenous Health Promotion and has worked in the Health Promotion field for over 9 years. 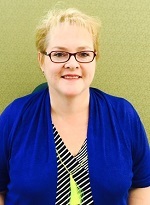 Josephine has extensive experience and knowledge in community engagement and consultation. Josephine has many years’ experience working in partnership with rural and remote Aboriginal and Torres Strait Islander communities in Queensland. Josephine is also a member of the AHPA National Accreditation assessment sub-committee. 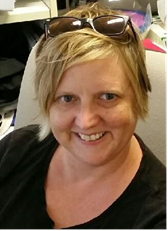 Leanne was interested in joining the Executive Committee of AHPA Queensland branch to contribute to the workforce development of students and health promotion professionals, and to help enhance the recognition of health promotion as a profession. Leanne have worked in statewide health programs, and have experienced the challenges that face health promotion practitioners – particularly working within a multidisciplinary environment and at sector levels. Leanne brings an understanding of the practical support health promotion practitioners require to put theory into practice to the Queensland branch. 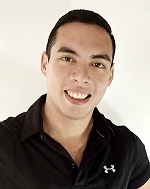 James is a certified Health Coach and Personal Trainer, with a Bachelor of Science (Hons) in Sport Management: Wellness & Fitness. He is also a Community Partner with Townsville Hospital and Health Service, involved in health care standards, health literacy, and end of life care. James is currently enrolled on James Cook University's MPH-MBA program, looking to work in health promotion after graduation. He believes health promotion is the ‘prevention rather than cure’ attitude that is often missing from many health systems, and would like to see it developed as much as possible. Having lived and worked in a number of countries and industries over the past 14 years, James brings with him a different cultural perspective to the Executive Committee. 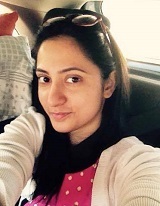 Ronak holds a Masters of Public Health and a Bachelor's Degree in Dentistry. She has worked as a Freelance Oral Health Promotion Facilitator and Volunteered with community organisations in their Health Promotion and Mental Health and Counselling teams. Her previous experience as a Consulting Dental Surgeon and an Oral Health Promoter in regional India has made her passionate about promoting health. Ronak aims to strengthen and develop a network of support around the community members in the form of community participation, for their betterment and good quality life. Ronak is a general member and part of the Advocacy and Communication subcommittee. Amanda recently joined the AHPA Qld Committee in order to contribute to the advancement of the field of health promotion. Amanda has worked in the area of health promotion for almost ten years in varied roles in non-government and government sectors. Prior to this she has worked as a registered nurse/midwife and teacher. She holds a Master of Public Health, Bachelor of Education, Bachelor of Health Science in Nursing and Graduate Certificate in Midwifery. Amanda is passionate about lifelong learning and capacity building for health promotion across all sectors. She enjoys working on projects intersectorally and developing and maintaining partnerships. With a keen interest in social determinants of health including health literacy and mental health promotion she hopes to contribute to improving health equity. 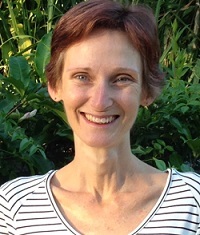 Amanda moved from Brisbane to Townsville in 2007 to take up a teaching position for “about 12 months” and ten years later has not returned south. In her own time she enjoys getting out'n'about with her local fitness club.